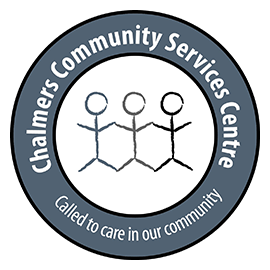 WINMAR® Guelph has been involved with the Christmas Gift Bag Program at the Chalmers Community Services Centre since 2002. We have been able to donate over 350 Christmas bags over the last 14 years. These Christmas bags include socks, gloves, toiletries, food and other necessities to improve the lives of less fortunate women in our communities during the holiday season. As a business that has been a proud supporter of the Guelph community for over eighteen years, we understand the importance and value of supporting causes and initiatives that strengthen our community ties and improve the lives of the members of the community we live, work and play in. At WINMAR® we take pride in helping to develop vibrant and diverse communities through philanthropy and innovative programs created with local nonprofit partners. 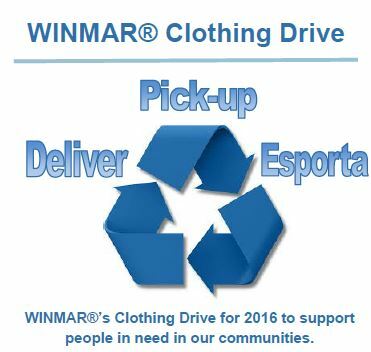 Our newest program is the WINMAR® Guelph Clothing Drive. We will be asking local insurance brokers, adjusters and business partners to donate gently used clothing items to be cleaned and dropped off at various local drop-off centres throughout the Guelph/Wellington communities. 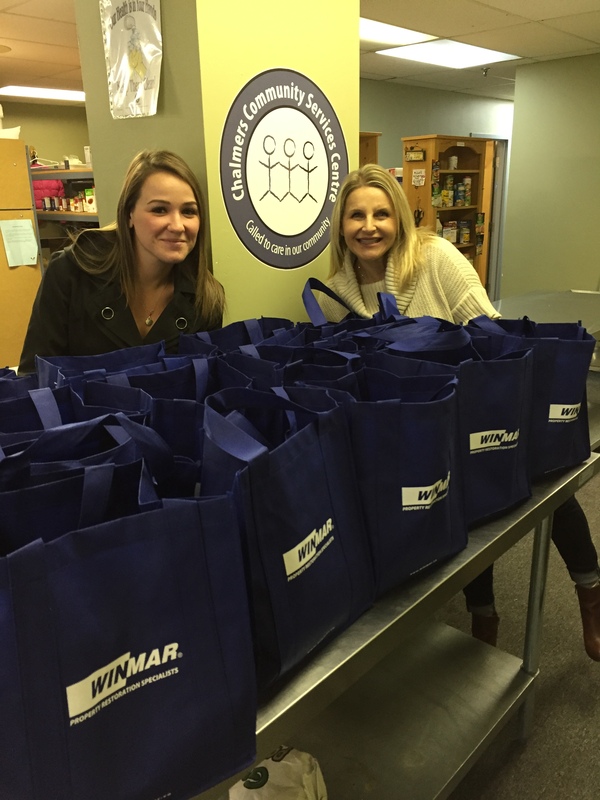 Each insurance office or business will receive WINMAR® re-usable bags to be filled with clothing donations and picked up once a month. The clothing will then be professionally cleaned using our Esporta machine and delivered to the various drop-off centres to be distributed to community members in need. 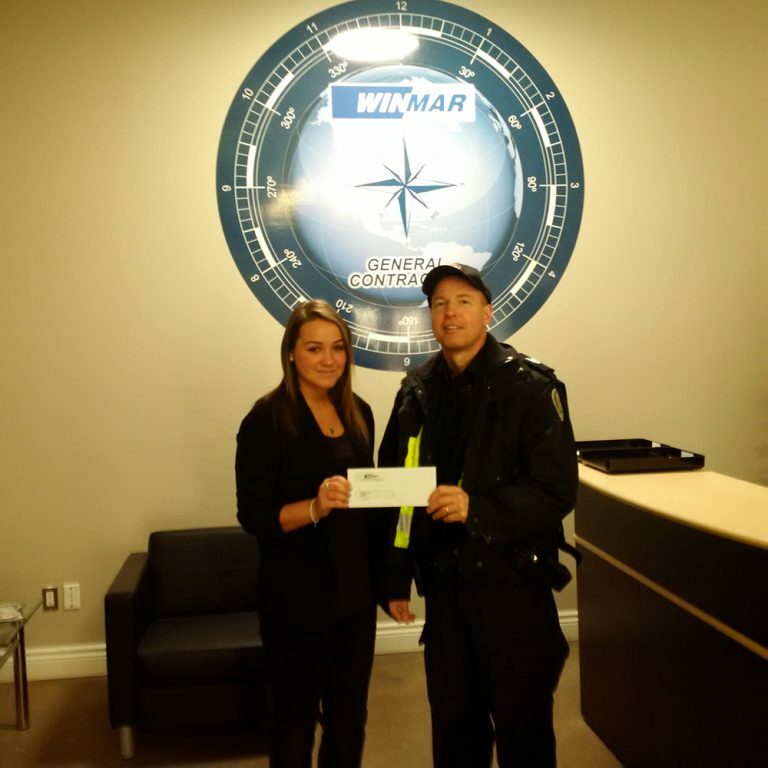 In April of 2009, WINMAR® Guelph contacted the Guelph Police Service and indicated that we wanted to help the Guelph Police in program delivery to the youth of our city and those who come from other communities to attend Guelph schools. Mr. Schmidt was moved by the tragic disappearance and untimely death of Tori Stafford and took it upon himself to contact the police to see how he and WINMAR® Guelph could help ensure a similar incident never occurred here. Mr. Schmidt and WINMAR® made a decision to commit $100,000 or $10,000 per year, as our part in working together towards finding ways to teach, encourage and inspire our youth to make good choices, adopt healthy values, learn to be good citizens of this community and make positive contributions to society, along with being able to live, play and learn in a safe environment. The slogan “Restoring Family Values” became the name of this program. The Guelph Police working collaboratively with Mr. Schmidt over the next several years sourced out and developed unique and original programs which fell under the philosophy of working together at keeping our children safe. The program has seen speakers brought into our schools as well as other programs supported such as Kickz soccer, Lids for kids, city wide bike rodeos, Block Parents and a school safety patrol camp. Moving forward, this program continues to evolve. This evolution has led to a new name and new ideas. On December 2, 2013, WINMAR® once again made our donation of $10,000 for this collaborative effort which will now be called “Kids Matter”. The funds will go towards finding ways to teach, encourage and inspire our youth to make good choices, enhance positive relationships between youth and the police and to promote street proofing of our children (Stranger danger, child safety, etc). WINMAR® Guelph believes in having a positive and meaningful impact in the communities where we operate.